In the past, most marketing platforms worked in the same way. Email, email and more email. Marketers would spends hours and days drawing out a flowchart of how a customer will interact. They would ponder over what actions the customer should take based on what was already available on their website. 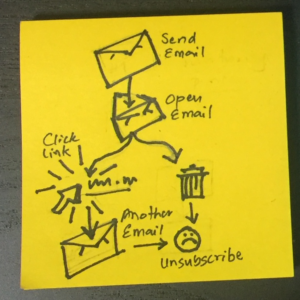 Customer receives email, wait a day, customer clicks email link, send next email, etc. This looks pretty intuitive, right? Now let’s look at this from the customer’s point-of-view. Every time they interact with your channel, they have to deal with different forms, different campaigns and sometimes even different websites. 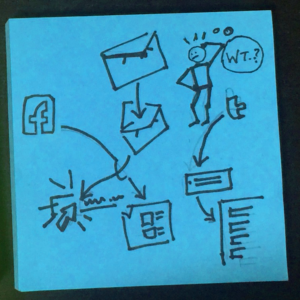 Does that sound like what might be going on with your marketing automation? Maybe. Even if your marketing is working the way it should be, truth is that your leads are not just sitting and waiting for your emails. They are likely engaging you through social media, searching for your brand on search engines, and finding their way back to you from all kinds of different pages on your website. If you manage these omni-channel leads in a vacuum, your email-only campaigns are probably coming across as tone-deaf, irrelevant and perhaps a tad irritating to your customer. Email is only one channel. Once you factor in mobile, your landing pages, social and chat, you will be getting closer to where the customers truly live. Here you can start interacting with customers outside of their inbox. Marketing is not all about page views and clicks. It about real people with a specific need. These need your attention. The broader your range of products and offers, the more attention they need. If you see each customer as a lead, then all you will do is try to sell to them not solve their problem, or build a relationship that will make them a lifetime customer. Cogni Craft helps you modernise your inbound marketing automation. We help you tailor your customers journey through your sales funnel with timely view of their interactions. We can show you how chatbots, email, sms, landing pages, product information pages, blogs, video – all play a role in informing, assuring and qualifying your leads and converting them into valued customers.